Broadcast on the 2nd March 2016 (taped 22nd January 2016) the 186th edition of WWE's NXT aired from the CFE Arena in Orlando, Florida, USA. 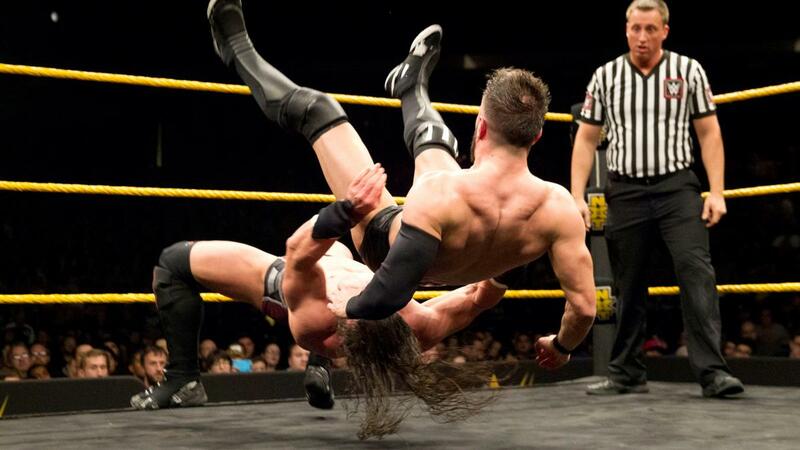 NXT Champion Finn Balor faced off with former NXT Champion, Neville...but was it any good? Let's find out. After I was less than impressed with The Vaudevillains match with The Hype Bros on NXT #182, I felt that this squash bout opposite the debuting Hugo Knox and Tucker Knight was a step in the right direction. The former NXT Tag Team Champions looked dominant in their victory and showed a more distinctive vicious side as they went about dismantling the new comers. The commentary team and Corey Graves in particular continued to put their turn over on commentary, as they worked over Knox for most of the match. After picking up a win with The Whirling Dervish, the duo continued to rise back up the ranks towards a shot at the Tag titles that they once possessed. The new persona is yet to have been taken to by the fans however, who were mostly silent for the bout, with the act previously being hugely popular it could take a while before the crowd fully buys into them being the villains of the piece. Picking up her first TV win since NXT #174, Emma looked impressive in an extended squash against I Believe in Wrestling & Stardom regular, Santana Garrett. The Orlando crowd was again fairly subdued, perhaps due to their unfamiliarity with Santana, but by the end of the short contest, they seemed to have been won over after Santana hit series of flashy and aesthetically pleasing moves. Emma's relationship with Dana Brooke was highlighted well here, with Dana interfering on the outside and eventually helping Emma take the advantage to pick up the win with Emma Lock. This obviously wasn't the best match the two could have put together, but with the limits they did a really good job here. It takes real talent to put together a short match like this and allow both performers to shine and make things look competitive and entertaining. After mixed fortunes on WWE's main roster programming so far in 2016, former NXT Champion Neville returned to NXT to take on a Finn Balor who hasn't been defeated in singles action since NXT #140 almost a year ago. The pair combined to put a classic TV main event for the brand, with both men seemingly having a lot of fun working a physical style match in front of a captive Orlando audience. 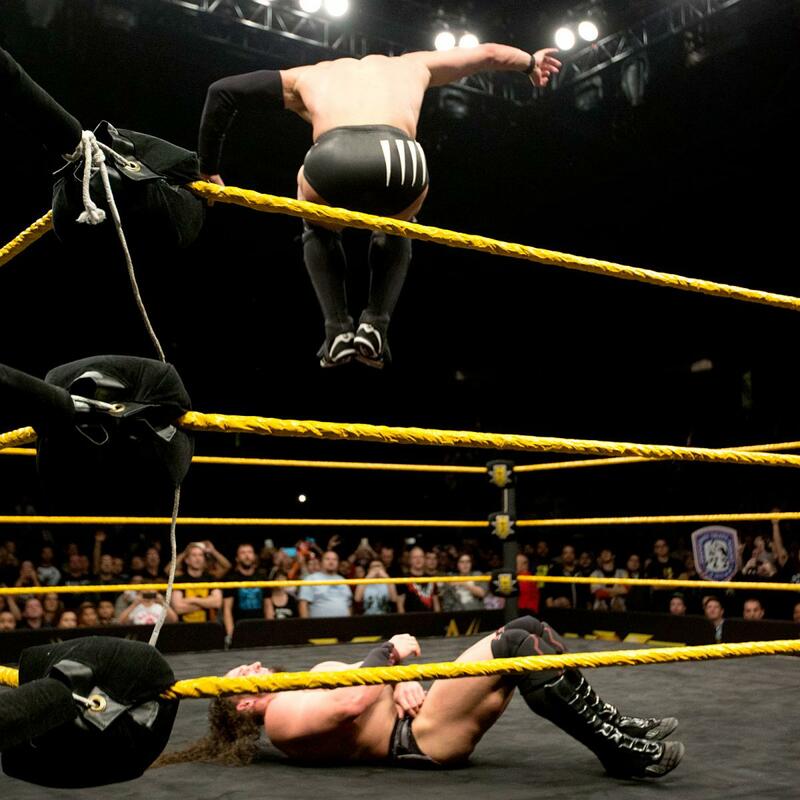 Neville dominated the first portion of the contest, using more of a no-frills offence than what regular WWE viewers are used to, before the action kicked into the next gear after Balor had sent Neville over the top rope and crashing into the steel steps. From here on out, it seemed like the Geordie decided he needed to up his game, hitting an Asai Moonsault as the pace raised and the drama heightened. The second portion of the bout was a pleasing watch, with both slick back and forth sequences and a simple narrative to keep things interesting. We saw Neville attempt to hit the Red Arrow a number of times, whilst Balor was going for his Coup de Grace finisher at the same time. With both moves coming off the top ropes, the action had a lovely symmetry to it as the pair continued to raise their game throughout the contest. A sequence in which Balor managed to escape the Red Arrow twice, before hitting Neville with a tope conhilo stands out in particular. With the two focused on hitting their big finishers, it meant that proceedings were a little lacking on the near falls, with only a nicely executed bridging O'Connor roll from Neville looking close to ending the match and even that didn't seem to convince many. With Balor eventually winning after following up his Coup de Grace with a Bloody Sunday, NXT has strengthened the reign of their current champion once again, taking the time afforded to him whilst Sami Zayn and Samoa Joe (and partly, Baron Corbin) have feud over the #1 Contendership to his title and created an even stronger champion in the process. Quality booking and a quality main event. A huge improvement on last week's outing, this show featured a great television contest in the main event, whilst also showcasing two long-running NXT acts in The Vaudevillains and Emma well. Finn Balor and Neville obviously had the best match of the episode, with the pair being given plenty of time to produce a pacy and exciting bout. The length of time between Takeover: London and Takeover: Dallas has meant that we've had a much slower build towards the show, allowing Balor to be kept almost completely seperate from any storylines over the last few weeks. This has allowed him to have his championship credentials bolstered with victories over Apollo Crews and now Neville, whilst simultaneously putting on entertaining matches. This will surely make his title defense against either Sami Zayn or Samoa Joe on 1st April feel even more special. Next week, Sami Zayn and Samoa Joe battle over the #1 Contendership to Finn Balor's NXT Championship in a Two out of three falls bout. It's a mouth-watering clash, that's been built to well over the last month and half and we'll be here next week with more thoughts and analysis!